Anyone else have a six year old going on sixteen? Sometime during the summer, my daughter developed a little eye roll. I’ve been keeping it in check, ’cause that’s what a Mama’s supposed to do, but I wasn’t quite ready for it. Like many moms, I have that knack of understanding what’s behind the eye roll and sigh. My daughter jokes that she has no idea how I know absolutely everything that she’s thinking. It’s magic, darlin’. Mama magic. And I have triplets, so I have triple magic. When I decided to do this week of lunch box notes, I wanted to have one set that lets her know that I still know what she’s thinking, even when I’m not with her. So I whipped up these Cheeky Lunchbox Notes. Save the below printable note page to your computer. Do this by right clicking the image and saving it to your computer. Then print it off using your computer software. 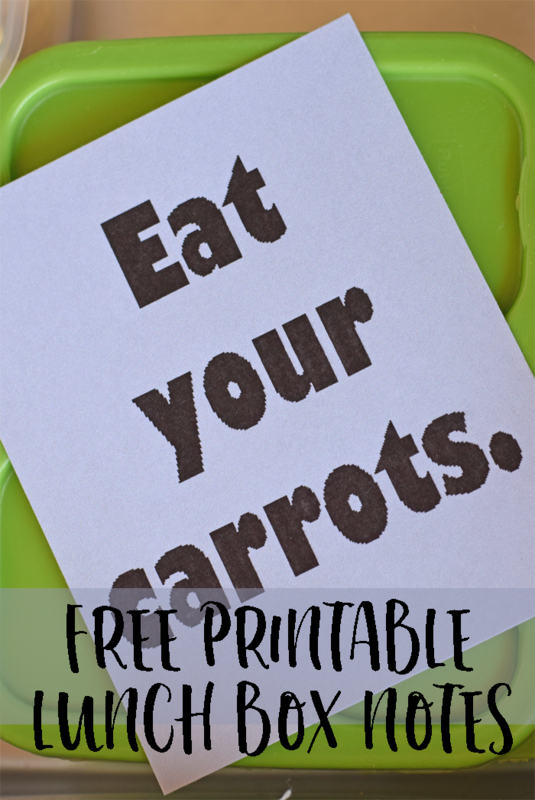 If you want to use them over and over, a laminating machine comes in handy! 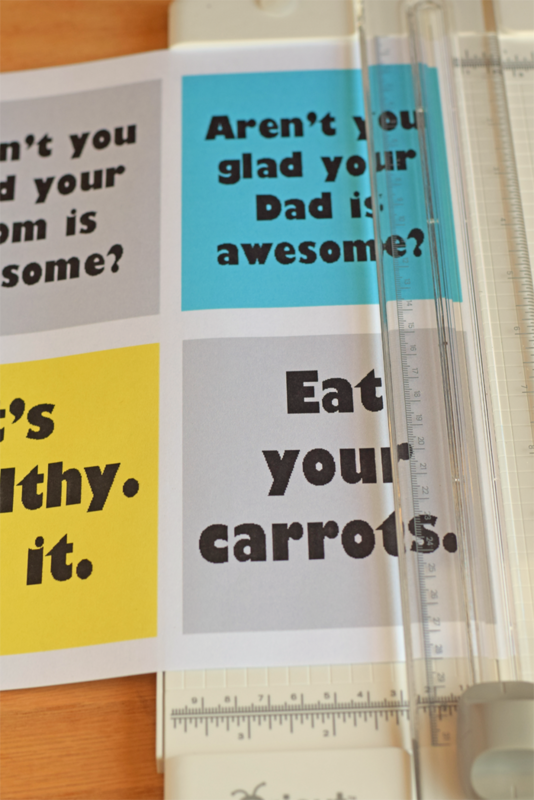 Cut out the notes with scissors or the Cricut paper trimmer. 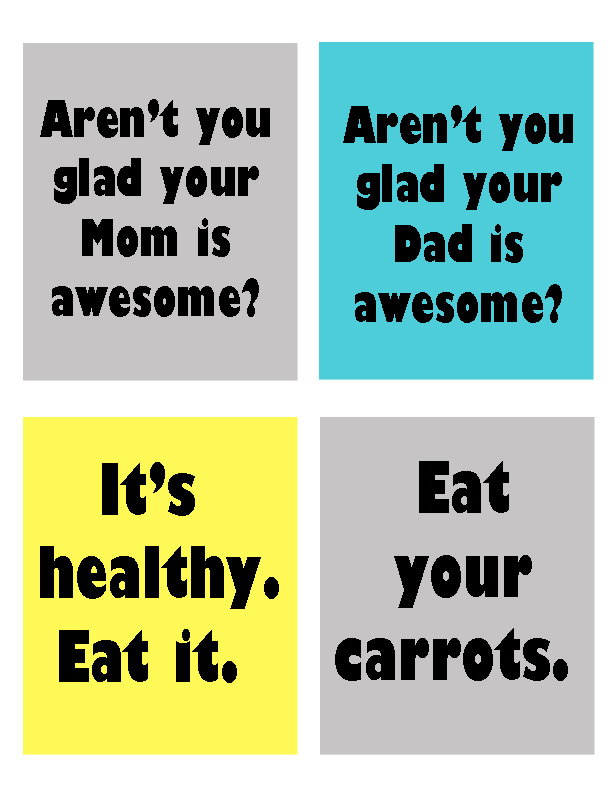 Include in your kiddo’s lunch box. Can’t you just feel them rolling their eyes all the way from the cafeteria? 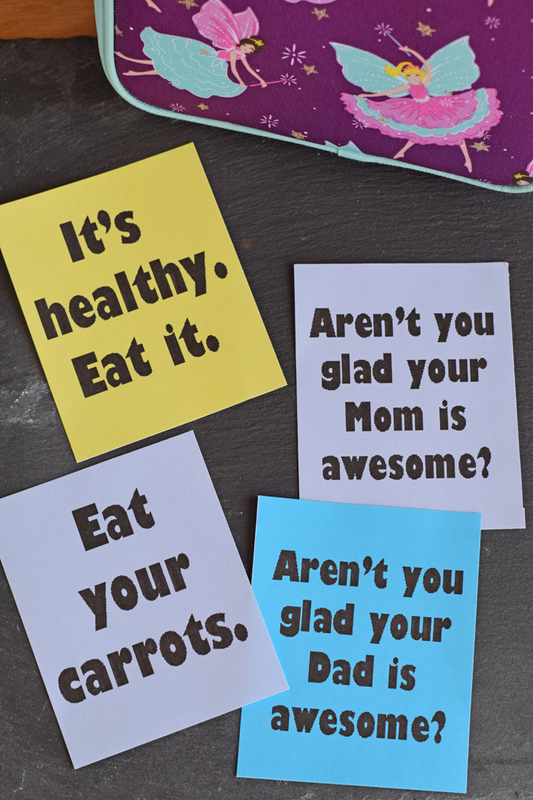 If these lunchbox notes aren’t your thing, come back tomorrow. I’ll have a set of inspirational lunch box cards with Bible verses. Because, no matter how much sass that they get, kiddos deep down want to know that they are special and loved by us and God!